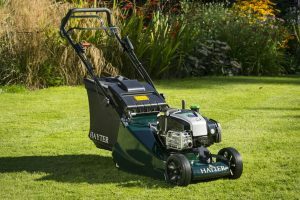 Lawn tractors are now more popular than ever, and that could be because they are now more affordable than ever before, or it could be because the latest designs means they are suitable for more compact gardens. Once you’ve used a lawn tractor you will never want to return to your trusty lawnmower. Easier to operate and more efficient in every way – they really do put the fun back into gardening! However, like with all garden machinery it needs to do its job and be the best option for you. So, what do you need to consider before buying a garden tractor? Read our handy guide for help, tips and advice. Or rather, select a lawn tractor that suits the size of your garden. If you have a large open plan garden then go for something with a wide cutting width, but if you have a garden with tight spaces or obstacles to mow round, consider something with a smaller cutting width. Remember if you have small spaces/gates to navigate around or through – it is best to measure them before you select your lawn tractor just to be on the safe side. All measurements are included in the details on our website and if you’re not sure please ask us before you order. Many of our garden tractors come with additional accessories that can make your job easier, and sometimes can save you a packet as well, so always look for our special offers. Consider if you really need that accessory? Some are an optional extra therefore you can always buy at a later date if you decide it is needed. 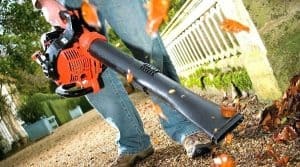 This may seem self-explanatory but, in a nutshell, if the cutting blades are at the front then you can easily trim underneath bushes and trees, and things like garden benches – which can save you time and effort as you probably won’t need to keep moving them every time you mow the lawn. If they are positioned under the driver’s seat (usually set to one side or the other) you can easily get up to edges and around borders. Professional gardeners believe that the front positioned blades give you increased visibility, however you must consider that these types often will not collect the grass clippings! If grass collection is important to you then you must make sure your chosen product offers this. Rear Collect Garden Tractors Easy operation? Consider your own strengths and capabilities when choosing your lawn tractor. Is it easy to get on and off? Is it easy to operate? Are there too many buttons and levers? Some lawn tractors have limited features and therefore less things to learn and operate. Choose your lawn tractor depending on your needs and capabilities. Decide whether or not to collect the grass clippings. A rear collecting lawn tractor collects up the grass clippings into a collection bag as you mow, which you then empty, either by a lever, button or by physically taking the bag off and emptying it. In some cases, you will want to mulch the clippings as this provides vital nutrients back to your grass. It is highly recommended that you store your lawn tractor in a secure shed. Covering and leaving outside may risk its longevity and performance. These lawn tractors are considered a high risk item for thieves so make sure it is covered on your house insurance and if you think it is necessary you could buy some wheel clamps. Consider the space you are keeping it in, is the shed accessible and can you easily get the garden tractor in and out? Do you need a ramp? Some manufacturers offer extended warranties which are really worth having. Sometimes you may need to take your lawn tractor to be serviced to keep your warranty in place. Here at Oakleaf we offer service and maintenance on all of the machines we sell and If you live near us we can collect your tractor, service it and maintain it and deliver it back to you. Always read the user’s manual that comes with your machine as it will outline your responsibilities as an owner and how often and how you need to maintain your lawn tractor. We have an excellent reputation and great customer service. Call us anytime to see what we can do for you. How comfy is the seat? Will I be able to get it into my garden? How big is the fuel tank and how can I tell when it’s getting empty? How easy is it to empty the clippings?